Life School’s vision to provide parents and families a choice for quality, free education continues to grow with the addition of its first high school campus. 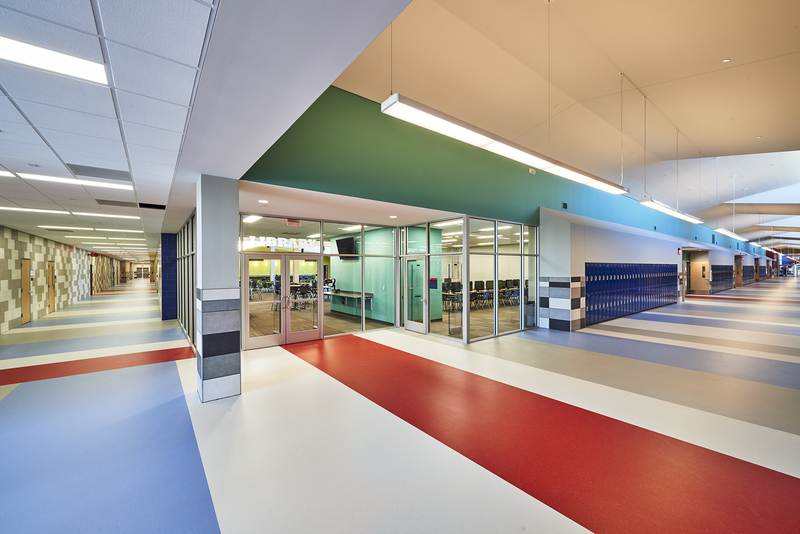 Beck, Life School’s long-time design and build partner, created a new state-of-the-art campus that can serve 1,000 high schoolers in grades 9-12. 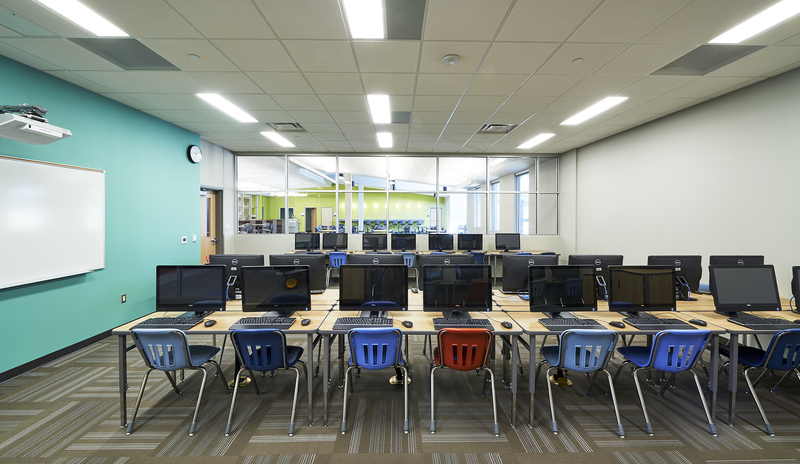 In addition to classrooms, science labs, computer labs, an audiovisual lab, the campus includes a competition gym, locker rooms, weight rooms classrooms, black box theater, band hall, cafeteria and a kitchen that serves all the Life School campuses. 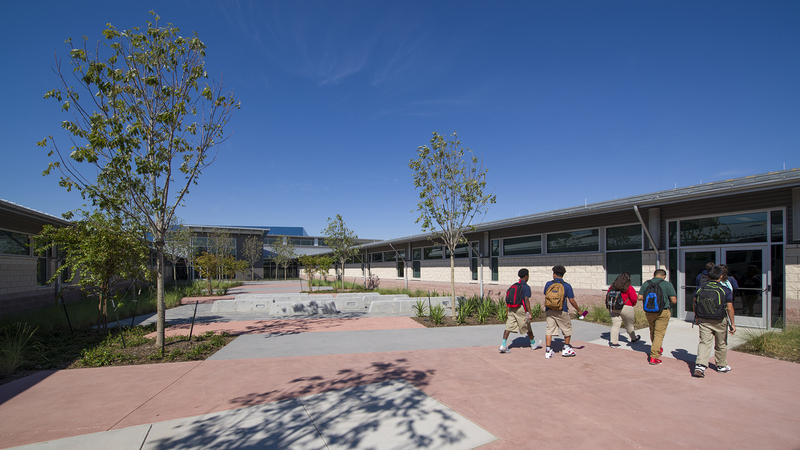 The campus is organized around a landscaped courtyard with an outdoor classroom, enhancing student learning opportunities. 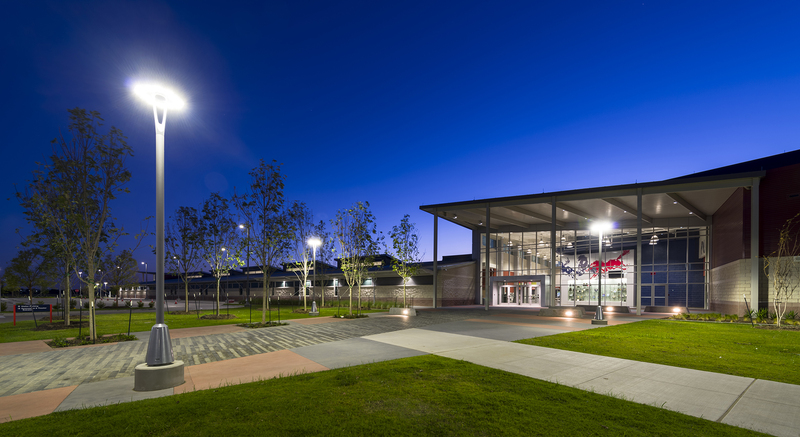 The 27 acre site also includes a competition track, synthetic turf football field, baseball field and softball field. The project was “ground breaking” before it held its groundbreaking. 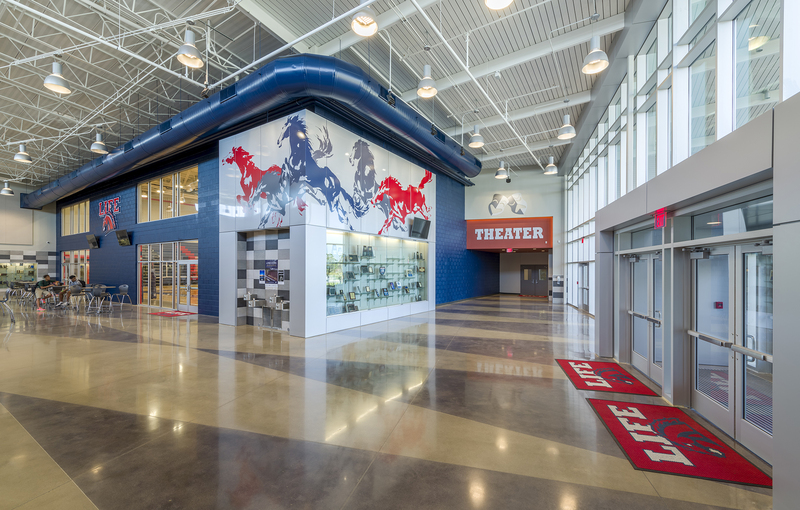 Life High School Waxahachie was the first charter school in the state of Texas agreed in 2014 to access guaranteed bonds through the $37.7-billion Permanent School Fund.